DJ Matrix Plus Concept - By Jaimala Plannerz, is one of the most famous wedding DJs in Delhi. They are known for playing, mixing and turntabling awesome tracks at wedding ceremonies, reception parties or engagement nights. The wedding entertainment group has great music sense and talent, and adds funky beats and rhythms to any latest or old Bollywood tracks at your wedding. From slow to fast, to foot tapping party songs, their playlist will make every person at your wedding groove and party. DJ MATRIX PLUS CONCEPT - BY JAIMALA PLANNERZ is a dj based out of Delhi . DJ MATRIX PLUS CONCEPT - BY JAIMALA PLANNERZ's telephone number is 76-66-77-88-99, address is New Delhi, Delhi, India. DJ MATRIX PLUS CONCEPT - BY JAIMALA PLANNERZ is mainly known for Wedding Reception, Sangeet, Cocktail and Other Social Events.. 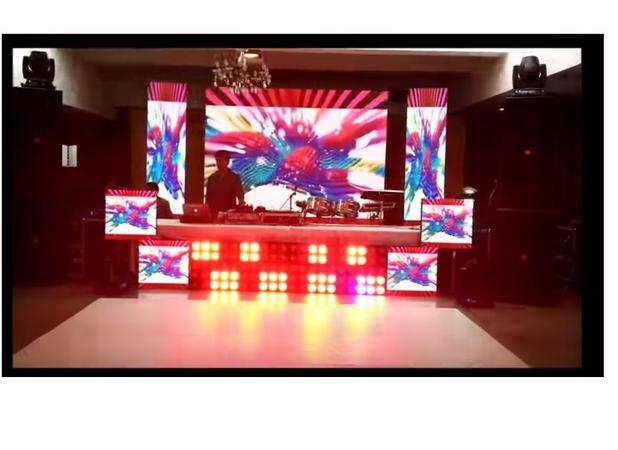 In terms of pricing DJ MATRIX PLUS CONCEPT - BY JAIMALA PLANNERZ offers various packages starting at Rs 60000/-. There are 0 albums here at Weddingz -- suggest you have a look. Call weddingz.in to book DJ MATRIX PLUS CONCEPT - BY JAIMALA PLANNERZ at guaranteed prices and with peace of mind.